The Hollywood Reporter was last night. Some of it is in direct contravention to what people quoted in that book said to me about things. Now, I know it’s unfair to tell you this. “What are you talking about?” Well, if I repeat it here, I’m spreading gossip. This is a dilemma that I having. And I’m also sitting here, you know, trying to determine was what I was originally told the case or the truth. Therefore, not having personal knowledge of many of these people, it’s hard to weigh in here factually. But I guess I could go this way. In this excerpt, Roger Ailes and Steve Bannon are portrayed as allies who are attempting to move forward an objective and so forth, and they’re friends and so forth. That was news to me, is all I’ll say. That whole conversation that took place at dinner that’s excerpted in the book, I was reading that and I said, “This doesn’t jibe with what people that are quoted here have told me.” So I’m in a situation personally where I’m not knowing which is which now. So then I have to ask myself, “Well, would one of the people involved in this have told me the truth about it?” Because everybody exaggerates, and everybody wants to make themselves seem important and relevant and close to the seat of power. So you have to have a filter for some of this stuff and that’s why I read these excerpts and I read these reports, and I know some of the people involved well, and I’ve met others, but don’t know them well. And a lot of it just doesn’t make sense with things that I’ve heard previously. So maybe as more of this unfolds and more excerpts… The book is eventually gonna get published, especially now with the cease-and-desist order from the president’s lawyer. That’s gonna guarantee the thing gets published. It’s going to guarantee that the thing is widely read. Here is the president last night, and this is a straight-up comparison. Bannon’s been all over the place. I mean, Bannon has been thought of as Trump’s right-hand man on policy, agenda, populism, advancing the Trump agenda and all this. It’s because Bannon was close to the seat of power. So, the book comes out, the excerpt comes out yesterday, and it just excoriates. This book just destroys the Trump White House. It destroys Trump, it destroys Melania, it destroys Trump’s family, it destroys Ivanka, it destroys Jared Kushner, it destroys everybody. It makes it look like Trump didn’t want to win, had no idea how to win, was devastated when he did win, that his wife was crying when they won, that he didn’t want to be inaugurated — and then he did. 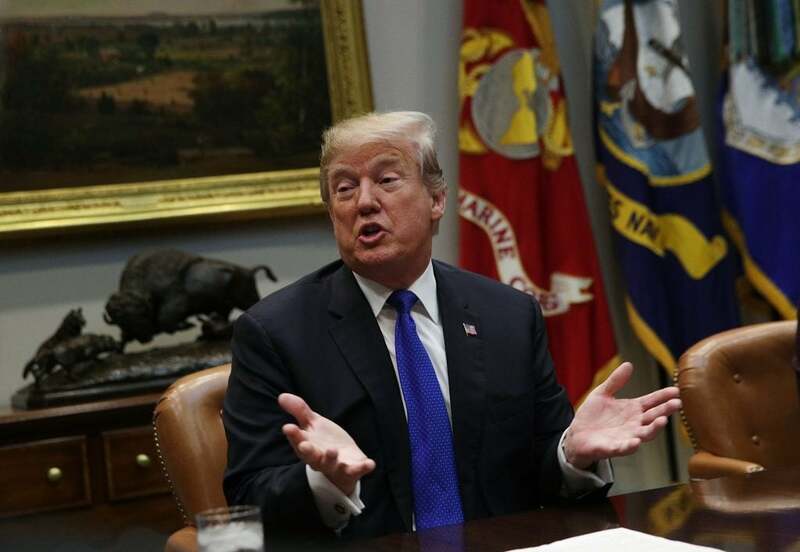 After a while, Trump did a giant 180 and really was excited about winning and couldn’t wait to be sworn in, couldn’t wait to start doing his agenda. Okay, so here’s a guy who didn’t want to win. That’s what this excerpt in this book claims. He didn’t want to win. His wife was promised! Trump promised Melania they wouldn’t win. And you go and you look at how hard Trump was campaigning and you look at all the rallies and you look at how he was on message at every rally, sometimes five a day. And every one of those rallies was overflowing, and every one of those rallies had the same energy. And there was no doubt that there was something happening in this campaign. And it did not look like a campaign of a bunch of people who wanted to lose. Now, I could understand if a lot of them thought they had no prayer of winning. I mean, everybody thought Hillary was gonna win in a landslide. Everybody thought that. All the smart people, all of the media, all of the Washington establishment — everybody — thought that Hillary was gonna win. This book purports to say that Trump thought the same thing, that he’s doing this to become the most famous guy in the world. That he’s doing this to set up more and more business opportunities after the campaign is over. Or that he’s doing this to start his own news network with Roger Ailes (that was a crock), or that he’s doing this to do whatever. I mean, there were any number of reasons why he was doing this, but not one of them was to win. And then you measure that against Trump’s messages during the rallies and during the campaign; it doesn’t look like a guy that didn’t want to win. Now, if you talk about didn’t expect to win, that’s another thing. That requires getting in somebody’s head or having very close relationship with ’em where they open up and tell you the truth. But there was none of that leaked during the campaign that Trump didn’t expect to win, that Trump didn’t want to win. This is one of these things that happens after the fact. Everybody’s denying it. TRUMP: I don’t know. He called me a great man last night. So, you know, he obviously changed his tune pretty quick. THE PRESIDENT: All right. Thank you all very much. Thank you. THE PRESIDENT: I don’t talk to him. I don’t talk… I don’t talk to him. THE PRESIDENT: That’s just a misnomer. Thank you. RUSH: They issued a 36-paragraph statement or… Trump issued a statement last night essentially saying, “Bannon’s nobody. He had nothing to do with my campaign, had nothing to do with my winning. I’m my own strategist.” Well, then why was he there? And he was there. He was a CEO of the campaign; then became the White House chief strategist. Now, whatever they want to say, he was there; Trump did hire him and he put him at the chief executive position the campaign. So Bannon is running around alternately saying that he’s the guy that got Trump elected, that he’s the guy that gave Trump the agenda items, that he’s the guy that kept Trump going day after day, that Trump this or that. He goes out and he does newspaper stories and interviews — TIME magazine covers — claiming to be the energy behind the Trump presidency, the reason Trump won. That infuriates Trump, but Trump doesn’t fire him then. Then we get stories that the way to get to Trump is ego. Flatter Trump. “If you go out there and claim that you’re the brains behind the operation, you’re finished. You’re through.” But Bannon survived all that. The straw that broke the camel’s back was when it was conclusively proven that Bannon was the big leaker. I think they knew it all along. 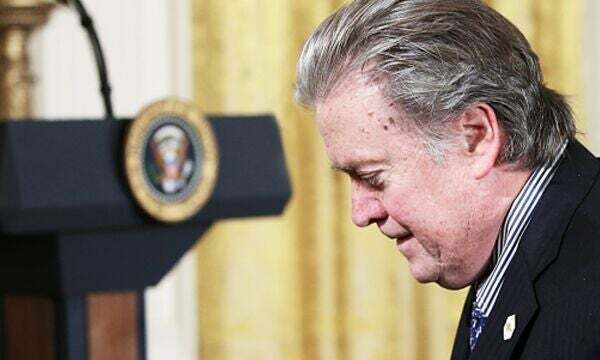 BANNON: The president United States is a great man. You know I support him day in and day out, whether going through the country giving the “Trump Miracle” speech or on the show or on the website. So I don’t think you have to worry about that. RUSH: Okay. So, folks, you can do with this whatever you want. Something’s going on. There’s either some grand strategy being played out here. This is a coordinated effort with some objective that we can’t see, don’t know, or everybody involved here’s got a screw loose and is just totally into whatever they can get for themselves on a day-to-day basis, and that probably is more likely.